After a fantastic Day 1, we started our day with a great breakfast spread at our hotel. We needed that energy, that head start for a long day of museum hopping and sight seeing. We decided to purchase the 24 hour Oslo pass as this would help us get access to most of the museums for free and also include public transportation at no cost. Yup, smart choice! We then made our way to the waterfront (Rådhusbrygge) from where we would take the ferry to the Bygdoy island, where most of the museums are. Bygdoy is a beautiful place in itself. From the ferry terminal, one has to walk a bit uphill to Norwegian Folk Museum which is about 10 minutes away and the Viking Ship Museum about 15 minutes away. We decided to go to Viking first, which was a bad call, since we missed Nor Folk in this bargain. The Viking Ship Museum is not grand, what is grand is the stories. The stories that one may weave as they see Viking ship burials before them. Oseberg, Gokstad, Tune and Borre - the four ships were excavated between 1854 and 1904. Before sailing on the rough seas for years, they were pulled ashore and used as burial ships. The dead were buried onboard the ships with their functional and decorative objects. The museum holds some of these objects too (most of the weaponry and jewelry was looted). The Oseberg ship was the burial house for two women. Investigation of the skeletons and the way in which they were buried with grand gifts by their side, reveals that the women held some special position in the community. Quite mysterious no? What do you think, who were they? Political or religious leaders? From there it was another 20 minutes walk to the Fram museum. One can take the bus too, but we strolled hand in hand enjoying the pleasant sights! Look at this house! The Fram museum houses The Polar Ship Fram - he first ship specially built in Norway for polar research and used for North and South poles expeditions. How cool is it, that you can actually aboard the Fram ship and take a look around the cabins, engine room etc. 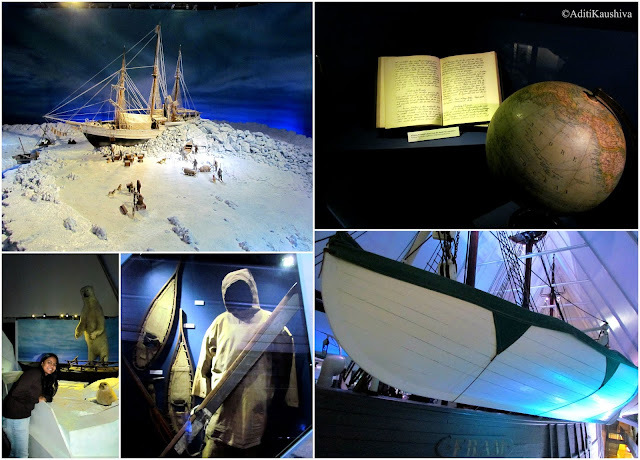 The museum holds extensive information on the three expeditions with the Fram which were led by Fridtjof Nansen, Roald Amundsen and Otto Sverdrup, and has been set up well with models, photographs and artefacts. We took our time in this museum, then stepped out, sat on the shore for a while before heading back. 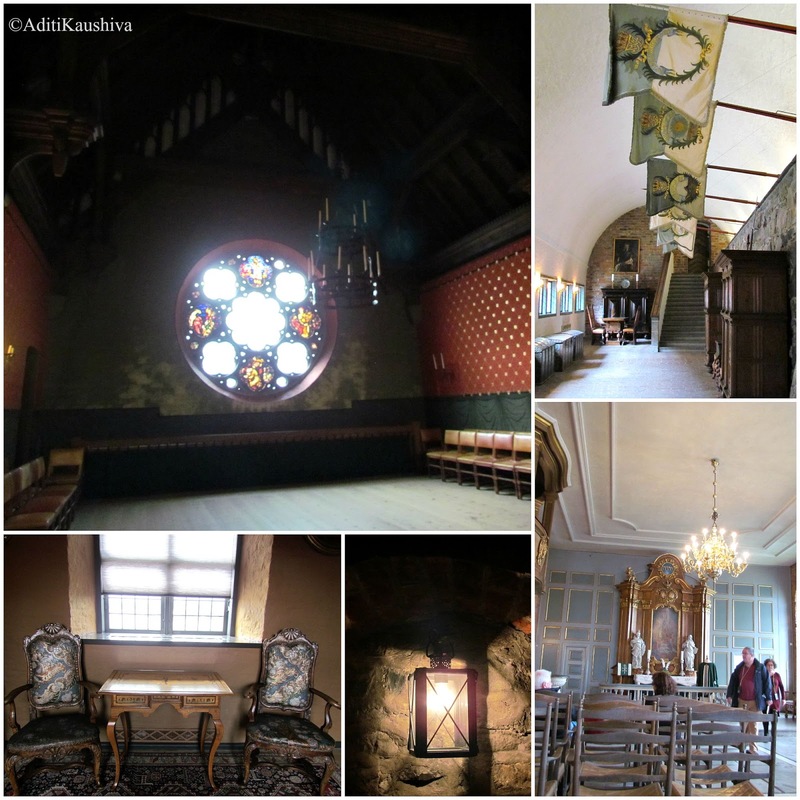 Our next stop was the Akershus Castle. Built in in the late 1290s to ward off attacks from the Norwegian nobleman, the castle has seen a lot! Developed into a fortress in 1592, then rebuilt into a renaissance castle in 1637-1648, it was turned into a prison during 1700 and 1800's and is still a military area. Near the castle is the old medevial square, Christiania Torv, which is famous for its fountain, with a sculpture of a hand pointing to the ground. History has it that in 1624, the Danish-Norwegian king Christian IV decided to rebuild the town in this area and he supposedly pointed to this spot and said, "The new town will lie here!" 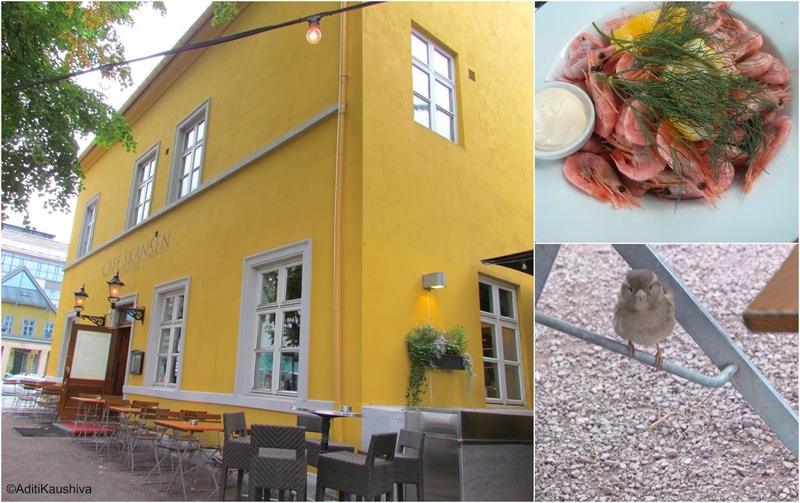 After a plate of shrimps in the nearby Cafe Skansen, we took a tram to the Vigeland Park. 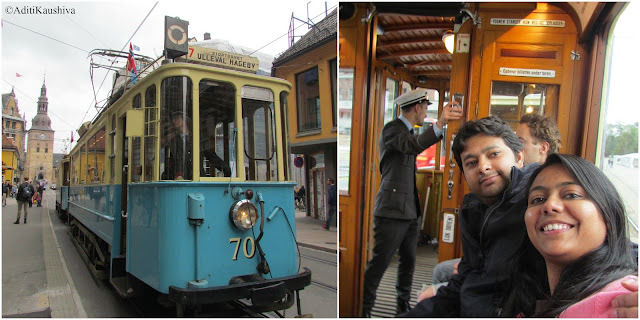 I had been waiting to get into one of those old trams and it was so exciting a ride. I think we left the best of Oslo for the last! Vigeland Park is no ordinary park. A unique sculpture park, it is artist Gustav Vigeland's lifework with more than 200 sculptures in bronze, granite and wrought iron. The park, which is huge, is actually called the Frogner Park. The sculptures are placed in the center of this park, and it was where we spent our entire time. I felt each sculpture had a soul of its own. Breathtaking! What was going on in Gustav's mind as he sculpted these life like statues. Each so vulnerable, filled with depth and emotion. The craft in that 2nd shot is amazing! Thanks Sue! Just saw this, will link up next week! It was surprisingly beautiful Nisha! And there is still so much more to do here! Do visit! Oh wow! What an incredible place to visit! I love that boat, and those statues at the end of your post are gorgeous! Thank you for sharing with us at Photo Friday this week! The park certainly has amazing sculptures. And thanks for hosting Photo Friday! Loved connecting! 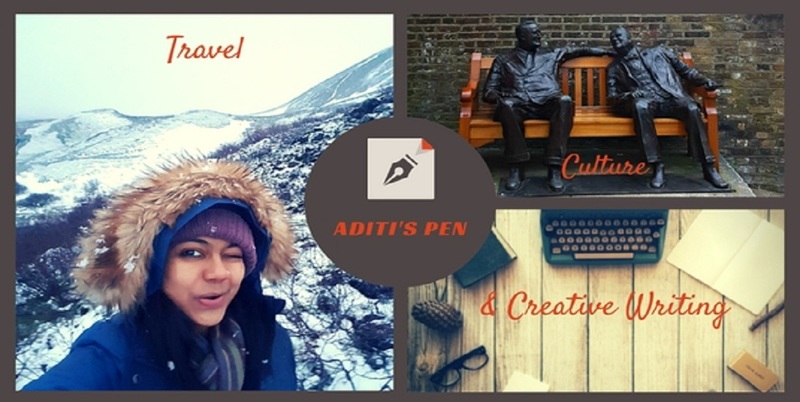 You travel posts gal! One better than other! And yes, the sculpture garden was breathtaking.